Throughout Northern California, particularly in Napa, Sonoma, Marin and Mendocino counties, boating has become a popular form of recreation. The state’s lakes and oceans, such as Lake Berryessa, Lake Sonoma, Lake Mendocino, just to name a few, play host to numerous boating accidents that injure and kill dozens of people each year. Sonoma, Napa, Marin, Mendocino and Lake Counties in particular with their many lakes, rivers, islands, bays, shores and bodies of water see their fair share of boating accidents year round. The most common boating accidents involve recreational watercraft, but occasionally it can include accidents that occur on commercial vessels such as ferry boats, cruise ships and other motorized watercraft. Boating accidents caused by inattentive or distracted operators, can cause very serious injuries requiring immediate medical attention at a hospital and therefore deserve the professional attention of a boat accident lawyer. 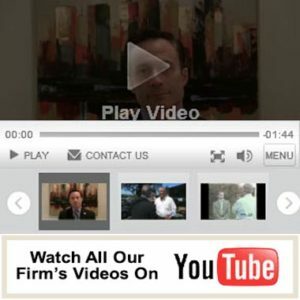 Any swimmer in a lake, lagoon, inlet, bay, river, sea or ocean who has been struck by a boat, motor-craft, watercraft, jet ski, or other propeller will experience pain and severe injuries which could be life-threatening and warrant a consultation with a highly skilled, experienced and aggressive boat accident lawyer. Claims involving boating accidents must be filed and handled by an attorney with a strong knowledge of boating laws and regulations. The timeliness and statutes of limitations for such claims although is generally two years, they have some other components, which make them a bit tricky, so hiring counsel sooner rather than later is imperative. At The Law Offices of Michael A. Fiumara, we have more than 40 years of combined experience representing boat accident victims and the loved ones of those who have been injured or perished in a fatal boating accident. Our lawyers are committed to holding the negligent party accountable for your accident and helping you get the FULL compensation you deserve for your medical bills, lost wages, and pain and suffering. After a boating accident, an immediate investigation is needed to preserve important evidence. If another person caused your boat accident, you shouldn’t have to shoulder the burden of medical bills and lost wages. Our boat accident lawyers will investigate your accident and take the time to understand how your injuries have impacted your quality of life. We will explore all avenues of recovery to ensure you get the compensation you need. Operator error and negligence are the most frequent causes for boating accidents. Oftentimes, operators underestimate the dangers of boating because they are improperly trained or under the influence. Boaters who cause injury accidents must be held responsible and our law firm makes that a priority. Further, there are numerous state and federal laws that regulate safe boating, vessel maintenance and boating behavior. Further, there are also laws that require operators to report any type of watercraft accident or injury. These accident reports must be filed with a law enforcement agency or the California Department of Fish and Game or other state agencies where appropriate. To learn more about the personal circumstances of your boating accident injury and how our law firm’s highly experienced legal team can work toward obtaining the maximum compensation possible, please contact the Santa Rosa office at 707-387-0940 or San Rafael office at 415-234-0142 of The Law Offices of Michael A. Fiumara today for a free consultation and evaluation of your case.